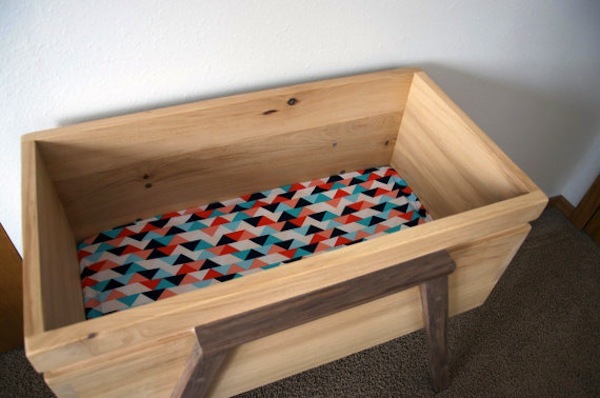 Just looking at this handcrafted wooden bassinet makes me as clucky as the day I saw my first baby on that little screen in the ultrasound room. I was lucky enough to bring that baby girl home and lay her down in the same bassinet my mum tucked me into twenty-eight years before. A beautiful cane Moses basket that had welcomed my brother and sister, my four nieces and nephews and, later, my little boy. It is our only family heirloom and, in my opinion, the best type of heirloom you can have. 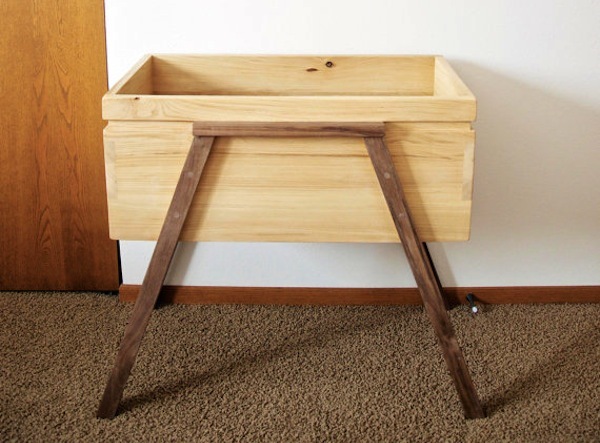 Keeping the heirloom potential in mind, spending US$448 on this handcrafted bassinet doesn’t seem so outrageous all of a sudden. This is one step past furniture, it’s usable art that I just want to run my hand along. I think it would smell really nice too. Turner & Branch on Etsy makes them to order but unfortunately shipping to Australia is not an option, Even so, some things are just too beautiful not to share and there’s always re-shippers for the particularly enthusiastic players.